Good Morning Everyone! I’m currently sitting outside watching the rain trickle down with a GIANT mug of fall tea. 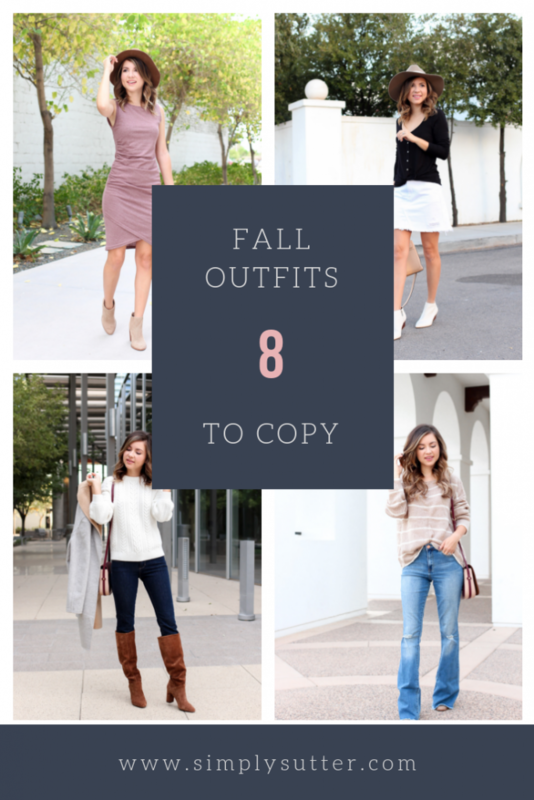 With fall in the air I wanted to share with you all 8 fall outfits to copy because that’s the best kind right? Outfits you can actually wear. While I strive to create looks like this i’m giving you my top 8 so far. The first look out of the 8 outfits is if you can believe it was actually shot during the summer! I was sweating but it’s part of the biz and now a totally wear it. This knit sweater and slouchy boots make for the perfect combo. Anyone remember this post? There are a million ways to style this dress but all you really need is some ankle boots and wool fedora hat. 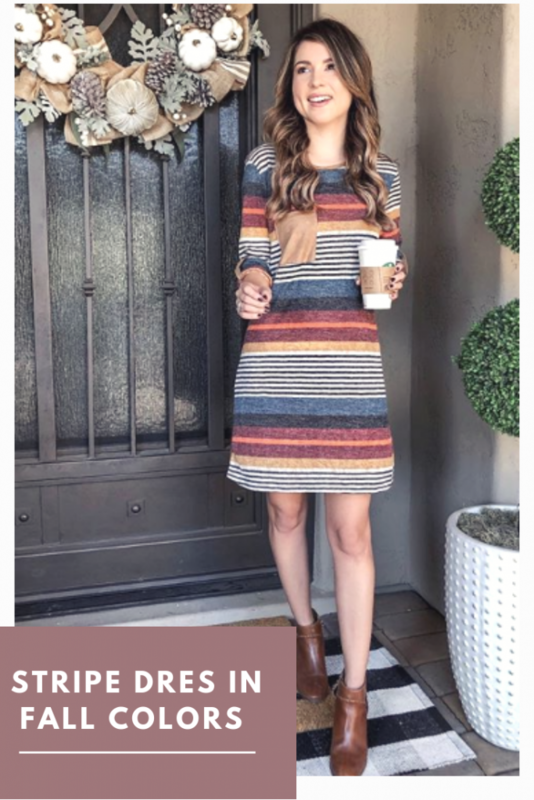 This dress also comes in a ton of colors! I’m wearing an XS. You cant tell that well in this picture but this stripe sweater is actually distressed! I know so fun! I’m wearing it with flare jeans but you could wear it wear it with skinny jeans or even a denim skirt. Okay so this stripe dress has sold out twice! It fabulous and gorgeous for layering! Olive colored jeans are always a must for the fall! I love how wearing it with a denim top makes it the look come together. This plaid dress is currently on sale for $39 (xs) and is such I good dress I cant help but wear it a lot. You can wear it with ankle boots or knee boots as well. White jeans and white skirts always give a polished put together look. 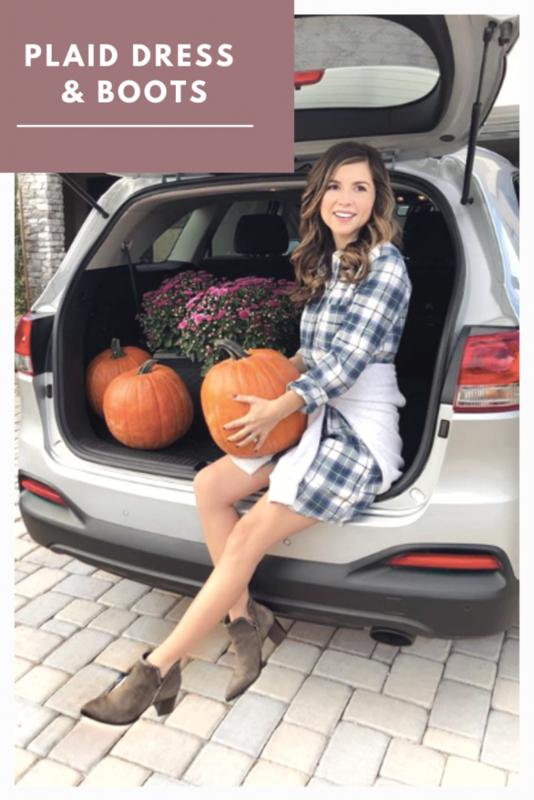 I love pairing mine with flats and boots. You could also do white with white so that it elongates the body or go contrasty and add a black or navy blue sweater. What look is your favorite? Thanks so much for stopping by! Have a great Monday!